The Sunshine State brings to mind vast, sandy beaches and some of the world’s most famous theme parks. Florida Beach and Disney World, however, are not the only two attractions the state has to offer. It also has Sarasota: a charming, eclectic city bursting with life, art, and culture. Dubbed the Cultural Coast of Florida, the city is a melting pot of creative minds whose specialties range from visual arts to performing arts to architecture. Sarasota ranks No. 1 in the best places to live in Florida and places No. 21 in the entire country in the US News & World Report’s 100 Best Places to Live in the USA. Shayla Twit, a licensed broker of homes and properties in the area, can attest to the beauty and vibrancy of the city, as well as showcase its charm as your future home. The demand for homes is currently high, but with Ms. Twit’s help, you won’t have a hard time looking for an owner selling a property in Sarasota, Florida. Sarasota is famous for its architecture. 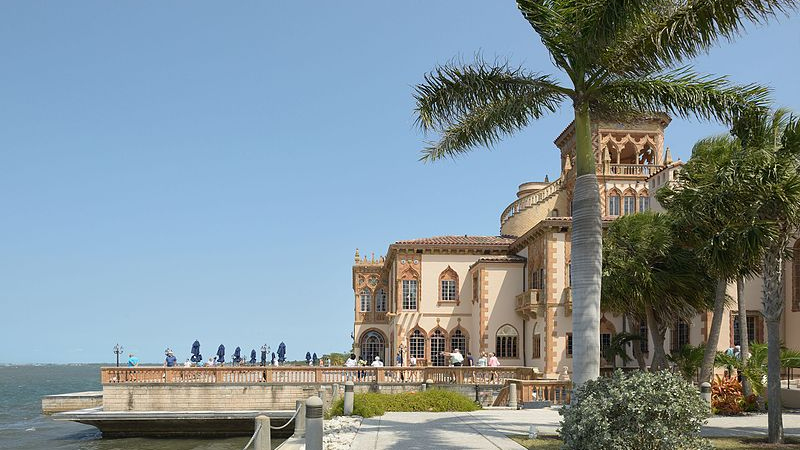 One of its architectural gems is the sprawling home of John and Mable Ringling. It has a distinctive Venetian-Gothic design that’s graceful but at the same time solid and imposing. It is now one of the most-visited museums in the city. Today, the city is rife with homes and buildings featuring mid-century modern architecture that evolved from the simple-frame structures in the post-Civil War era. Known as the Sarasota School of Architecture, its distinct characteristics include high ceilings, large shades, tall, wide windows that permit natural lighting and ventilation, and open floor plans. Examples of this style are the Sarasota City Hall and Paul Rudolph’s famous Umbrella House. The city is a favorite destination for avid fans of performance arts, particularly those who want to experience classic opera. The Sarasota Opera is different from its Los Angeles and New York counterparts because it preserves the classical design of the venue as well as the delivery of the performances. Live performance theater is also a big thing in the city with its numerous acting, singing, and dancing guilds. The Van Wezel Performing Arts Hall is a landmark in performance arts, as well as other theaters like the Manatee Performance Arts Center, The Players Theatre, Asolo Repertory Theatre, and the Florida Studio Theatre. Explore the city, and you might even witness a live street performance. Besides the John and Mable Ringling Museum of Art, The Ringling Circus Museum also offers a wealth of history and local culture, not just of Sarasota but the circus industry of America. Visitors can get up close with some of the most iconic circus props, costumes, including the carved, parade wagons and tents that the old circus companies like Barnum & Bailey Circus and the Ringling Brothers Circus. These and the other museums in the area are a historical display of what Sarasota was like almost a century ago. It also depicts where the city got its eclectic vibe and cultural inclination. John Nicholas Ringling was instrumental in shaping Sarasota’s culture, and it was his decision to make Sarasota the winter headquarters for The Ringling Brothers Circus that paved the way for its economic and cultural progress. In fact, you’ll see and feel much of the circus vibe throughout the city. Sarasota is worth visiting at least once in your life. Living here can bring you greater joy. Get in touch with Shayla Twit if you’re planning to relocate to the city. An experienced real estate broker for luxury homes, she’ll give you access to prime properties available in the market. Image “Ringling Museum Cà d’Zan Sud Sarasota Florida” courtesy of Wikimedia Commons. If we can assist you with a purchase in the area, please don’t hesitate to contact me at: shaylatwit@gmail.com or 941-544-7690. Thank you!